About JASPAL RANA (President), PADAMSHREE : Born on 28th June 1975 in Uttarkashi, Jaspal Rana was born in a simple family of farmers, his father Narayan Singh served in ITBP, mother Shyama was a housewife, Educated in Mussoorie and Delhi, Jaspal came to limelight with a equaled Junior World record performance in Standard Pistol event in Shooting World Cup at Milan in 1994. He was awarded Arjuna award at an early age of nineteen in 1998, 2002 was the year when he was given PadamShree for Record breaking performances in Asian Games, Common wealth games and other competitions. 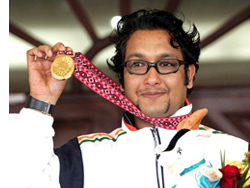 After a gap of twelve years and hundreds of Gold medals, Jaspal again equaled another World Record in his favorite Centre Fire event in 2006 Asian Games at Doha winning three Gold medals and one Silver in the process, Jaspal was nominated as the best Athlete of Doha Asian Games. 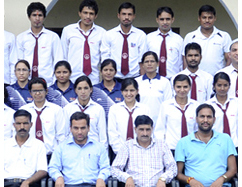 Presently he is engaged in producing world class shooters in his shooting academy at Dehradun, a place where the present college is being set up. 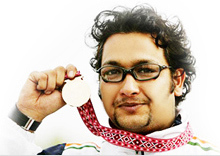 Headed by Jaspal Rana, PadamShree and Arjuna Awardee at a very tender age of 21 and 19 for his illustrations contributions in the field of Shooting Sport at various International competitions Ranging from Junior World Champion, Asian Games Gold medal winner in different shooting events, Common wealth Gold winner in various categories and ultimately World Record holder in Centre fire Shooting as its President, this institute is set to inspire many coming sport professionals in producing World champions in different sports.